A chic, compact version of the classic messenger, this bag is crafted in matte nappa with a soft and silky touch. Entirely hand-woven, it features a boxy shape that's outlined by contrast stitching and hand-painted edges. The dark-gold tone metal clasp is finely engraved to mirror the intrecciato motif of the leather. The interior is divided into three compartments and fitted with a flat pocket. 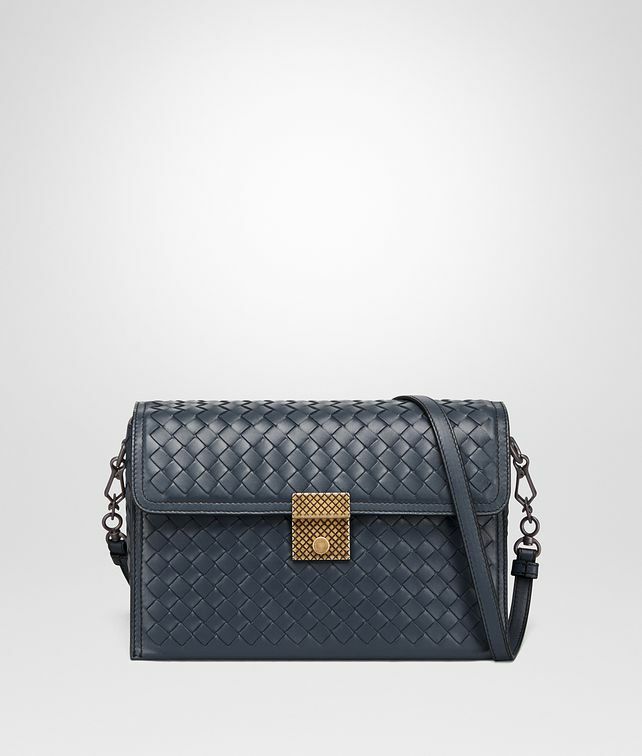 Detach the long, adjustable shoulder strap to use it as a clutch. Strap drop: 49 cm | 19.3"